Whether you’ve had an employee referral program for years, are only in the initial stages of building one, or have never had one at all, this e-book is full of tips and advice on making your program the best it can be. 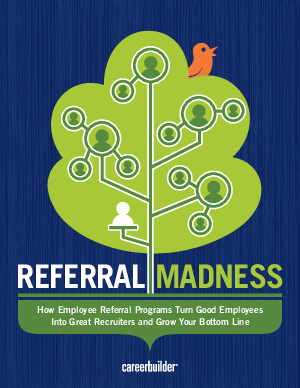 Think of it as your comprehensive guide to employee referral programs. We’ll help you determine how to create or enhance the employee referral program that will help you get more quality hires while improving your employee relationships and increasing your bottom line.